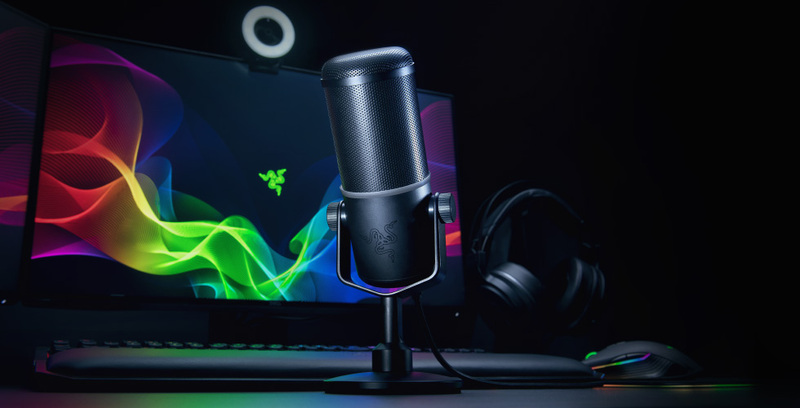 The Razer Seiren Elite is a dynamic USB microphone packed with professional grade features to bring high quality audio to live streamers and YouTube broadcasters. The single capsule design, coupled with built-in filter and limiter gives a richer, warmer vocal tone previously only found through high-end broadcast equipment. For more information about the Razer Seiren Elite, please visit www.razerzone.com/seiren-elite.